In celebration of #NationalVolunteerMonth, INMED would like to thank all the wonderful corporate volunteers who donate their time and skills to our programs for vulnerable children in South Africa, Jamaica, Brazil, Peru and the US! Their generosity leaves a lasting impact on our program participants—and especially the volunteers themselves! 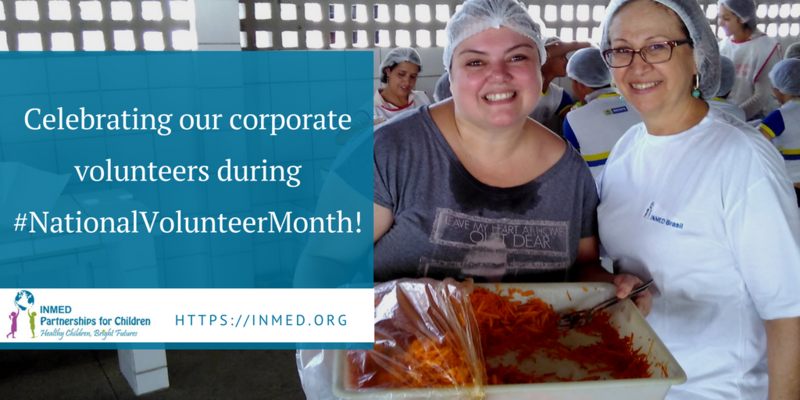 Is your company interested in organizing a volunteer outreach project with INMED? Contact Nancy Baker at nbaker@inmed.org to learn how.